Age Limit : Candidates Age should not be more than 30 years as on 01.01.2017. 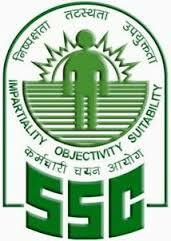 Selection Process : Selection will be based on Performance in Written Examination. Application Fee : Candidates are required to pay Application fee charges of Rs.100 which should be pay On-line by SBI challan/ net banking/debit card/credit cards.No fee charges for all women candidates and candidates belonging to Scheduled Caste, Scheduled Tribe, Persons with disability and Ex- servicemen. How to Apply : All Eligible Candidate can apply Online through official website ssconline.nic.in from 15.04.2017 to 05.05.2017. Last Date for The Registration of Application Form : 05.05.2017.